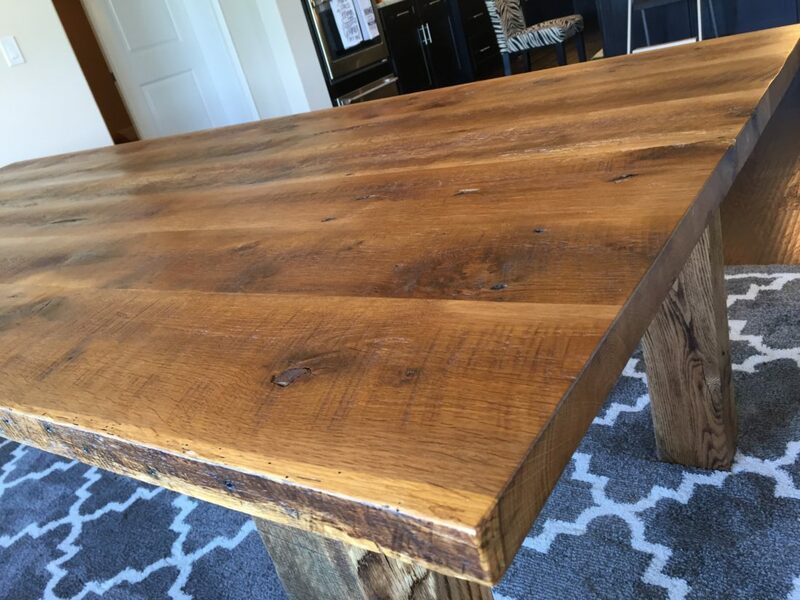 Lisa and Mark were in the market for a new dining table. While searching the internet for local companies, they found us! 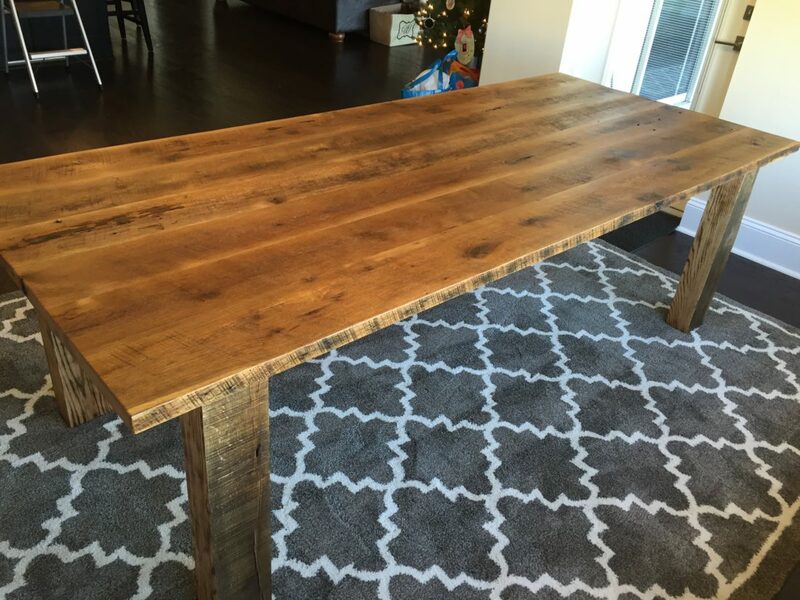 Once they looked over our portfolio, they found many farmhouse tables that they loved. 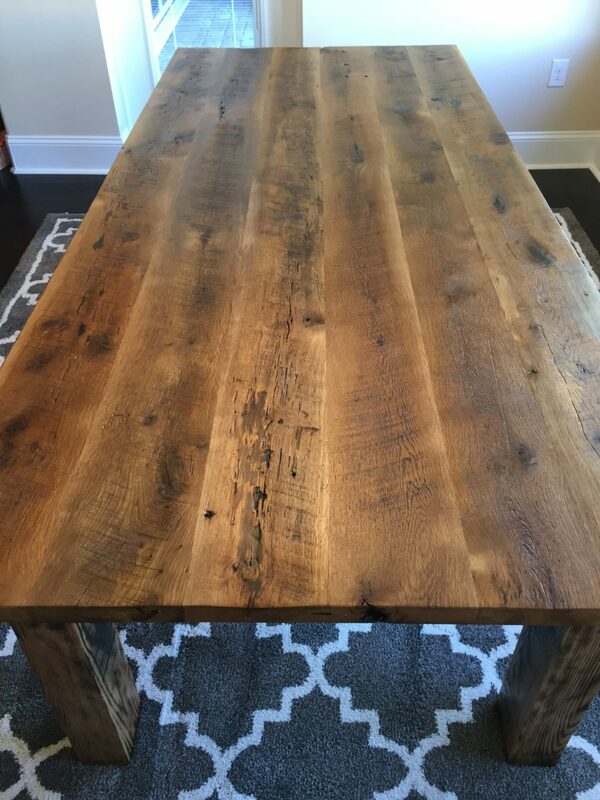 So they choose us to build there Barnwood Farmhouse Dining Table! 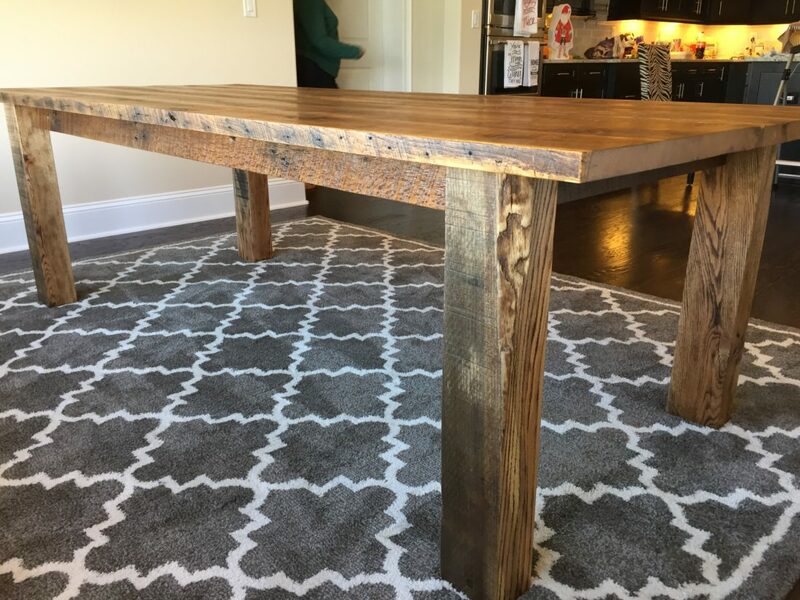 We love the way this table came out. 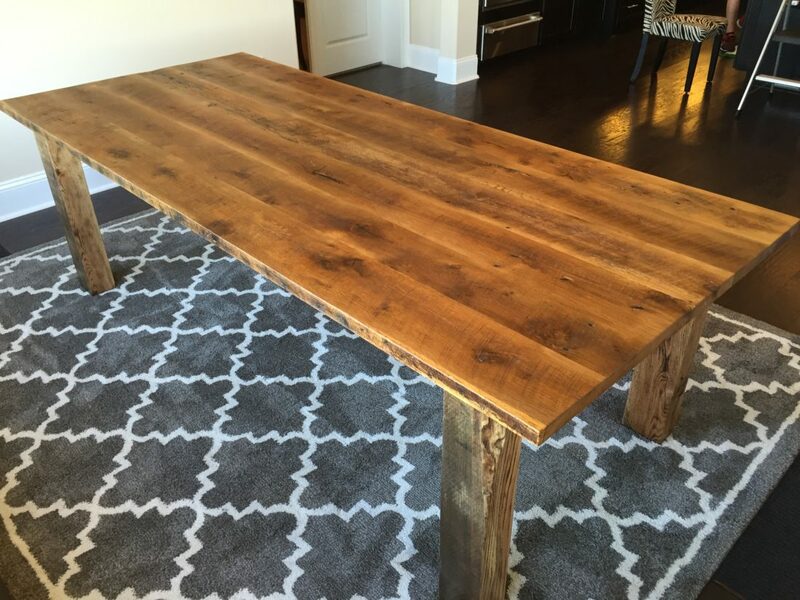 It’s the perfect balance of rustic and chic.